Roanoke Review was co-founded in 1967 by Roanoke College student Edward A. Tedeschi and teacher Henry Taylor, who went on to win the Pulitzer Prize in poetry for The Flying Change in 1986. Poet James Boatwright and novelist George Garrett served as advisory editors, and the first issue included work by William Stafford, Lee Smith, Kelly Cherry, William Jay Smith, and Malcom Cowley, among others. Tedeschi and Taylor were ultimately replaced by Robert Walter, who edited the journal for the next thirty years. The Review was taken over in 2001 by Paul Hanstedt, who served as editor for the next fifteen years with the occasional interim leadership of Melanie Almeder and Mary Crockett Hill, who took on the role of editor in 2016. In its half-century of existence, Roanoke Review has established itself as an accessible read, intent on publishing down-to-earth writers with a sense of place, a sense of language, and—perhaps most importantly—a sense of humor. The Review is also known for its fine cover art, which features some of the best artists of southwestern Virginia. Having shifted to an entirely digital format in 2015, the Review continues this tradition with a new on-line gallery. Abigail Rose hails from a small wooded glade, also known as Spotsylvania Virginia. She studies creative writing and literature at Roanoke College. She's spent time in Germany, and a particularly crowded airport in France. When not working at the Review, she might be tutoring peers at the Roanoke College Writing Center, missing her kittens, Tag and Franklin, or dreaming up new stories to write. Emma Fenton is a senior Literary Studies and Creative Writing double-major from Ferrum, Virginia. She has studied in Oxford, UK, written an entire novella in 48 consecutive hours (though it was admittedly terrible), and is now in the process of applying to grad schools. When she is not working for Roanoke Review, she can be found stress-baking in her kitchen, writing poetry, or attempting to teach herself how to play the violin. Kelly MacCluen is from Haddonfield, NJ and is a junior Art History major. She also works on campus as an Academic Coach. She plays on the varsity tennis team and enjoys hiking, watching Netflix, and napping. In her perfect world, she would always be holding a cup of coffee in one hand and petting a dog with her other hand. 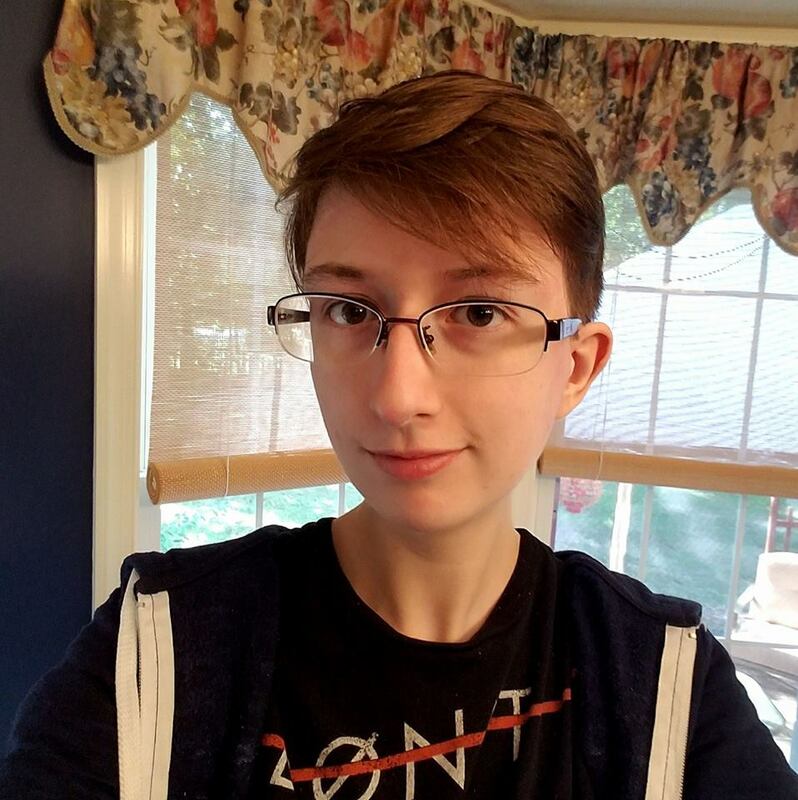 Elizabeth Bullock is originally from Mechanicsville, Virginia, and currently studies creative writing, literary studies, and German at Roanoke College. She has continued her studies in England at the University of East Anglia, and has traveled across Europe and Thailand, expanding her skills as a travel writer. Elizabeth is in charge of compiling past works for the 50th anniversary anthology of the Roanoke Review. When not working for the Roanoke Review, Elizabeth can be found in the library, surrounded by books, or catching up on her favorite show.